F. Scott Fitzgerald’s lost story Temperature, reviewed. A lost short story reminds us that even at the end of his life, F. Scott Fitzgerald could craft a tale. 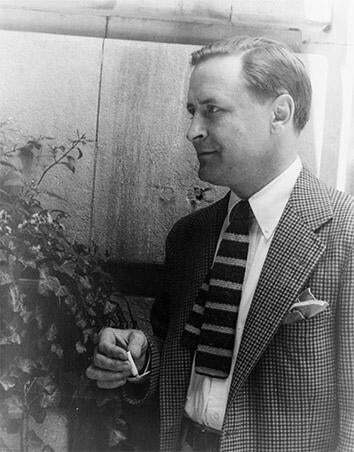 “All my stories are conceived like novels,” F. Scott Fitzgerald once wrote his literary agent, Harold Ober, and that was the problem. As with his novels, the stories each required “one little drop of something not blood, not a tear, not my seed, but me more intimately than these, in every story, it was the extra I had.” Fitzgerald came to resent his stories because the steady dripping of those drops, shed to earn the cash he needed to survive, was drained from the novels he considered his real life’s work. One of these little vampires, “Temperature,” a story written a year and a half before Fitzgerald’s death in 1940 and long thought lost, has just surfaced. Andrew Gulli, editor of the Strand magazine, is developing something of a specialty at ferreting such works out of university archives. Last year, he discovered an unpublished Steinbeck tale, and he has also promised to publish soon some newly unearthed fiction by “a very, very famous writer of detective stories.” But this August, he’s got Fitzgerald, the poet laureate of America’s summery dreams of self-invention and the inevitably bittersweet shadows they cast. Not that you will find much of the tragic romanticism of The Great Gatsby or The Beautiful and the Damned in “Temperature,” which Fitzgerald submitted on his own to the Saturday Evening Post (to the displeasure of Ober), only to see it rejected. “Sending a story direct may be bad policy but one doesn’t consider that when one is living on money from a hocked Ford,” he told Ober. His fiction, identified so closely with the Jazz Age, had come to seem anachronistic, and his attempts to make a go of a Hollywood career had fizzled. Los Angeles—or, rather, “one of those suburbs which make Los Angeles the most far-flung city in the world”—is the setting for “Temperature,” but it’s only tangentially a Hollywood tale. Emmet Monsen is a young writer, popular with photographers of the “pictorials” for his “slender and darkly handsome” looks. Just returned from a two-year stint in the tropics, he’s about to publish “a sort of scientific book” that he expects will “disappear into the geographic sections of several hundred libraries,” but he has notes for a much more financially promising adventure novel. First, however, he intends to win back the girlfriend he abandoned, now a starlet whose projected face, glimpsed in a movie theater while he was traveling, has rekindled his love. Unfortunately, Emmet also has a fever. The overbearing doctor he consults orders up a “cardiograph” which then gets mixed up with that of a much sicker man. Suddenly everyone thinks Emmet’s hovering on the brink of death, and that recovery depends upon a strict regimen of bed rest. As his fever progresses and his plans go awry, Emmet hits the cognac and runs gloriously amok, getting himself up in a “sort of sarong surmounted by an opera hat,” declaring himself a “Cannibal king” and ripping spokes out of his bannister to use as spears. There are some amusing minor characters: the “Dakota small-town boy” turned young actor who owns the bungalow cottage Emmet rents—“it was no fault of his that he had been born with a small gift of mimicry and an extraordinary personal beauty”—as well as an ineffectual, clumsy private nurse. There’s also Miss Trainer, Emmet’s newly hired secretary, a girl who regards him with an expression “so full of a sort of beautiful attention, a fascinated and amused surprise that he wanted to say something back to it.” You can guess where that is going, if you’ve ever seen a movie. And of course, what “Temperature” most resembles is the classic romantic comedies of the period, black-and-white confections directed by George Stevens, Howard Hawks, or Leo McCarey—although it lacks the bite of Preston Sturges at his best. The tone is pleasantly witty and the farcical elements brisk. If you’re a fan of Bringing Up Baby or The Awful Truth, you’re likely to start imagining Emmet as played by William Powell or Cary Grant. (For Miss Trainer, the only possible choice is the great Jean Arthur. And if you don’t know who she is, you live a drab, shriveled life.) “Temperature,” that is, weighs next to nothing. Is this the fault of Hollywood, which Fitzgerald so detested, nevertheless utterly permeating his work? The truth is that in his day the short story was, like the movies, a popular entertainment. Published in magazines like Collier’s or the Saturday Evening Post, they helped people while away their weekday evenings before television was invented. When today’s writers marvel over the fact that Fitzgerald essentially lived off of the income he made from selling short stories to magazines, they overlook the fact that these publications would have had little interest in what the short story has since become: an exercise of rarified literary style, often labored over in workshops, that will be read mostly by other writers and aficionados. With few exceptions, the literary short story is no longer a populist form. But what most strikes me about “Temperature” is the soundness of its construction. Any bit of business that figures late in the plot (the shoddiness of the bungalow’s bannisters; Emmet’s low tolerance for alcohol) is deftly established early on. The narrative is a little clockwork wonder that goes despite its creator’s evident indifference to it, like the abandoned robot in Wall-E. Countless modern-day Hollywood movies, productions tweaked and tinkered with by dozens of handsomely paid individuals, cannot hope to rival “Temperature” in coherence and simple competence. Fitzgerald was such a pro. If only he’d found it easier to appreciate that for the compliment it is.